In the universe, the emergence of human life form is an important phenomenon in that it provides a unique opportunity to lead a purposeful life rather than indulgence in sensual ism and fulfillment in terms of service to oneself, to fellow beings and to God. Those accomplishments and their results pervade the 'life here and life hereafter'. Such pursuits invariably presuppose (i) leading of an orderly and disciplined life, (ii) a code of conduct and (iii) clearly defined goals. 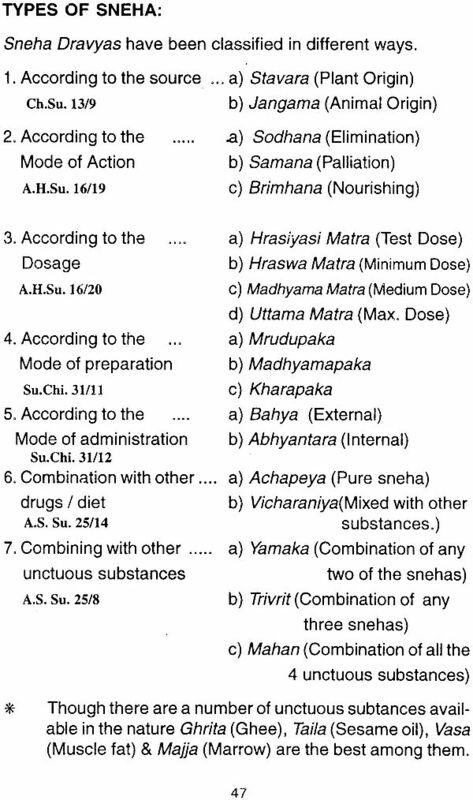 These factors in their strict positive sense are collectively covered under the term "Purusharthas" in the Sanataria Oharma to which Ayurveda has its allegiance. “Dharmartha Kama Mokshanam Aarogyam Mulamuttamam”. Maintenance of health is by itself an in-built mechanism of the systems that work within a living body keeping in terms with the internal environment (homoeostasis) and the external environment (ecological balance). Nature also imposes a duty on the composite and holistic unit (the individual) to endeavour to maintain the regulating mechanisms with utmost care to ensure preservation and promotion of health. Any lapse by the individual may give rise to a sustained disturbance in the equilibrium -internal and external -which may be reversible or irreversible and may result in mainfestation of disease ensured by death. Ayurveda recognizes the presence of three basic constituents which govern and represent the varied and vital mechanisms at the micro and macro levels in the body. 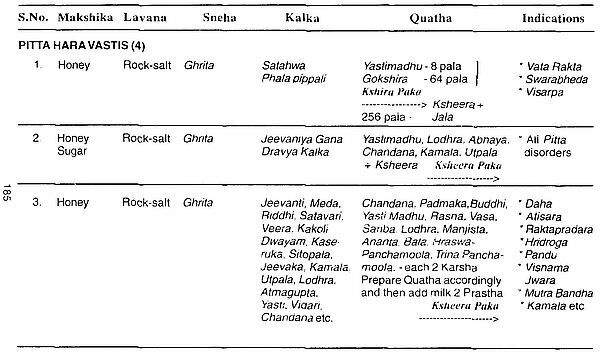 These are Doshas, Dhatus and Malas. During the incessent activities of the living systems throughout the span of life several by-products are continually formed some of which are recycled and those which are in excess or which are rendered irreversible must be excreted in the process. Nature provides an in-built mechanism for such disposal but there also it imposes compulsion on the individual to assist and take care of the natural processes to ensure maintenance of the equilibrium. Such involvement for the maintenance of the equilibrium (Samayoga) is an unavoidable function of a living being for its healthy existence and survival. 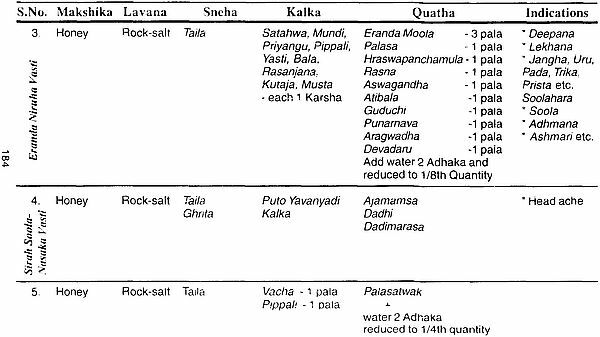 'Panchakarma' means the five therapeutic techniques of the unique speciality of Ayurveda viz., Vamana, Virechana, Vasti, Nasya and Rakta Mokshana. Along with the above Classical Panchakarmas Dhara, Pizichil, Navara khizi, Sirovasti and Sirolepa are the Keraliya Panchakarmas which are much popular all over India in the recent days. * Due to lack of sufficient practical knowledge regarding these techniques. * Non availability of the equipment freely in the market. 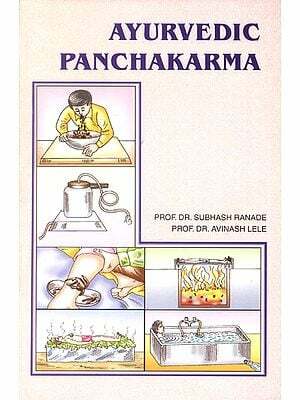 The present text book 'Panchakarma' is written with the sole aim of presenting a complete book on the subject keeping in mind the requirements of Ayurvedic undergraduate students as well as the practitioners. 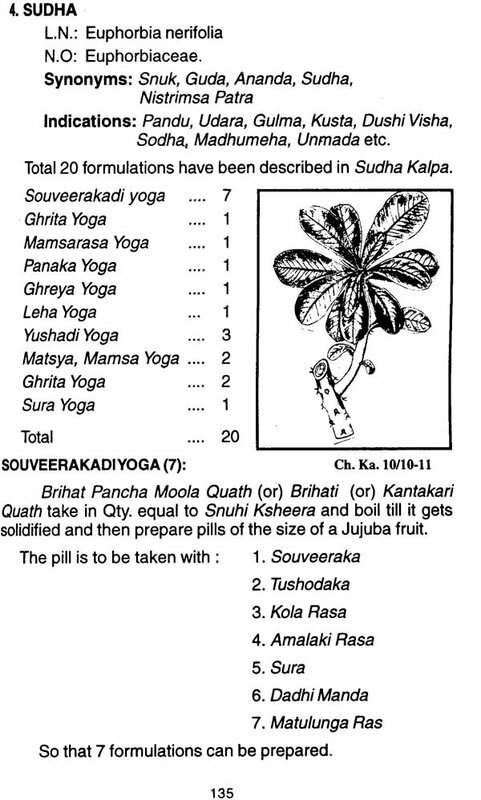 The book includes all the topics prescribed in the syllabus recommended by Central Council of Indian Medicine. The book has been divided into 12 chapters. 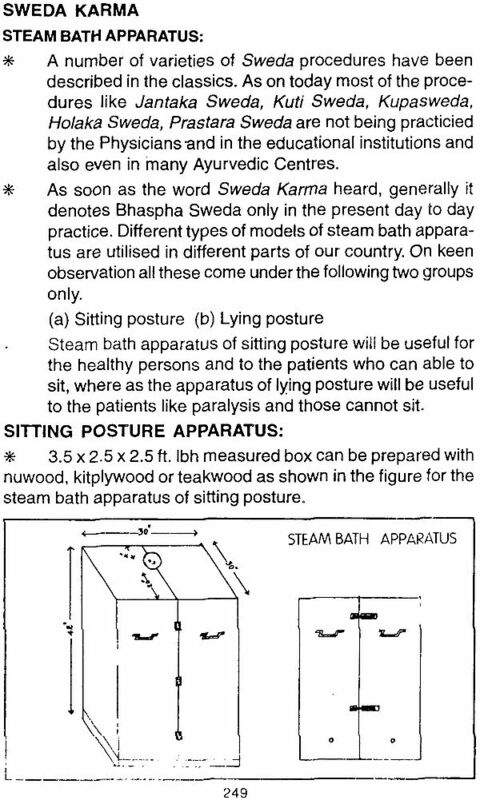 In the first chapter 'Introduction to Panchakarma' has been discussed. 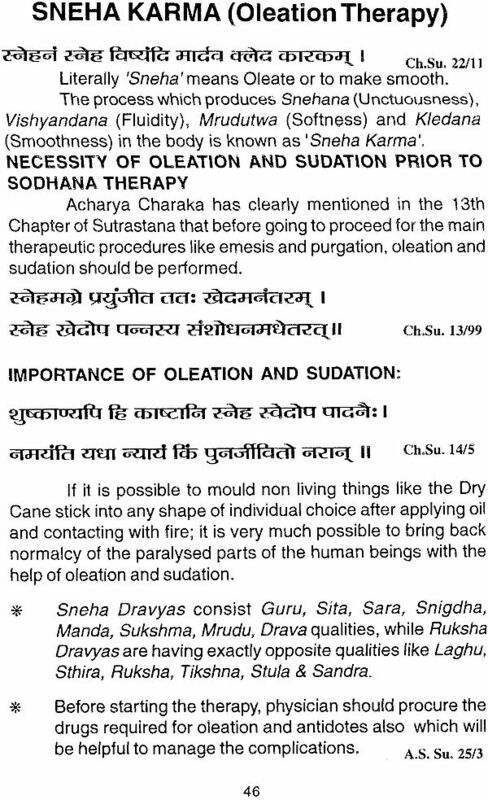 Time required to perform all the sodhana therapies in a systematic manner has been incorporated in the 2nd chapter, whereas the 3rd chapter dealt with Samsarjana Krama. In the 4th and 5th chapters preoperative procedures like oleation and sudation have been discussed. 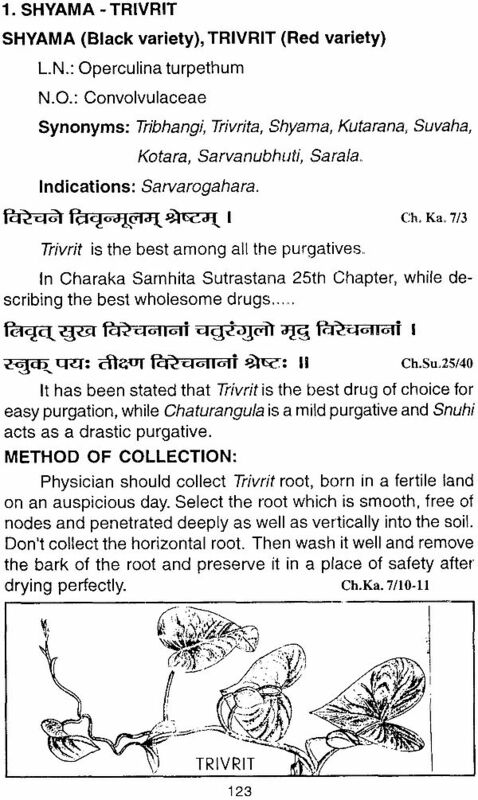 In the 6th and 7th chapters various formulations of emetics and purgatives have been explained in a simplified manner. 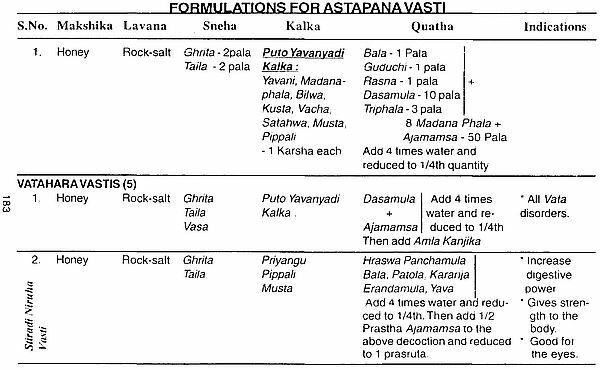 Similarly in the 8th chapter, many formulations pertaining to Astapana Vasti and Anuvasana Vasti have been incorporated in the tabular form for an easy understanding. 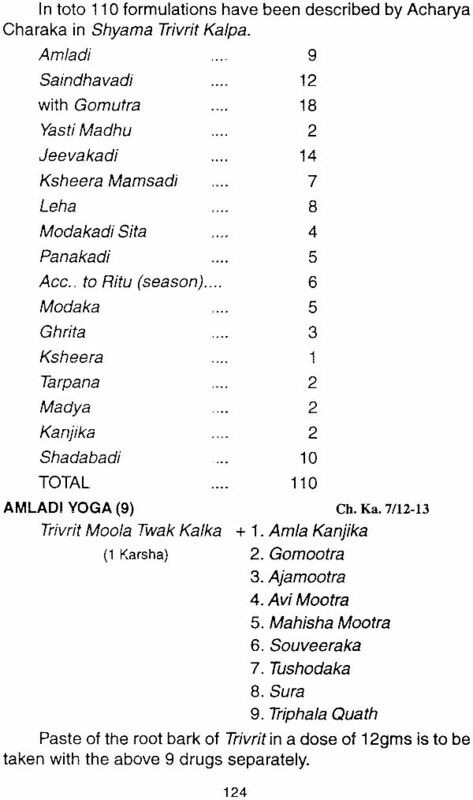 The 9th and the1 Oth chapters dealt with Nasya and Rakta Mokshana respectively. 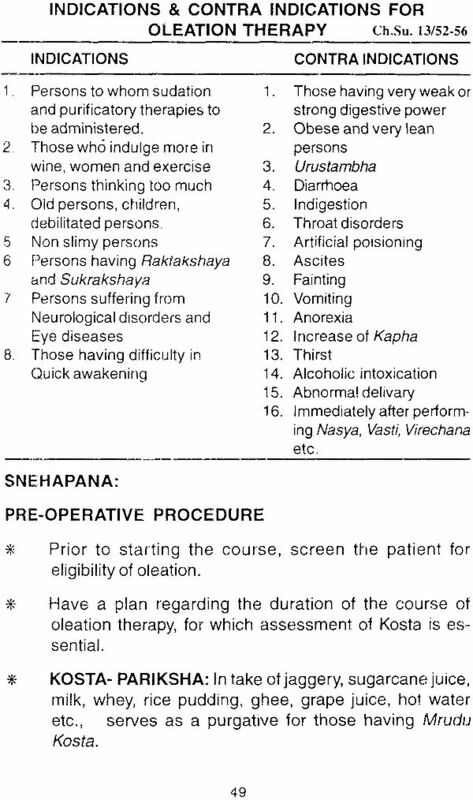 The 11th Chapter dealt with Keraliya Panchakarma, in which the essential equipment and instruments, drugs, attendants, time & duration, procedure and indications etc. have been explained in a systematic way. 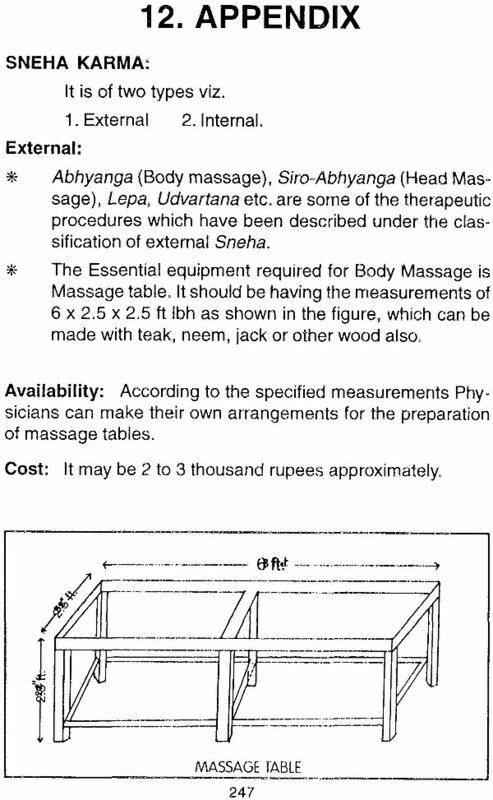 At the end of the Appendix, different types of equipment and instruments required for the practice of Panchakarma therapy and their availability in the market and approximate cost also has been given. In general, the material has been meticulously organised in such a way that the students can easily understand, retain and reproduce it. The illustrations, line diagrams and photographs are simple in the form of schematic representations. So that the beginners do not find any difficulty in understanding the subject. On this happy occasion it is my prime duty to pay gratitude to my beloved parents Dr. (late) R. Satyanarayanacharyulu and Smt. R. Rajyalakshmi for their blessings. 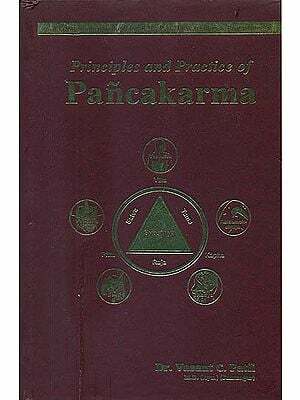 I would like to pay my gratitude to Prof. Chirumamilla Ranga Rao who taught me the alphabets of Panchakarma and greatly inspired me to go into the details of the subject. I am very much thankful to Sri P.R. Krishna Kumar, Managing Director, A.V.P. Group of Companies who gave me the opportunity to have the special training in Panchakarma at International Institute of Ayurveda, Coimbattore. I am grateful with affection to Dr. B. Ramulu, Principal Dr. B.R.K.R. Govt. Ayurvedic College, Hyderabad, who had given me encouragement and cooperation in all aspects. In completion of this book, I am previlised to get constant support and encouragement from Dr. K.V.L. Narasimha charyulu, Asst. Professor, Dept. of Basic Principles, Govt. 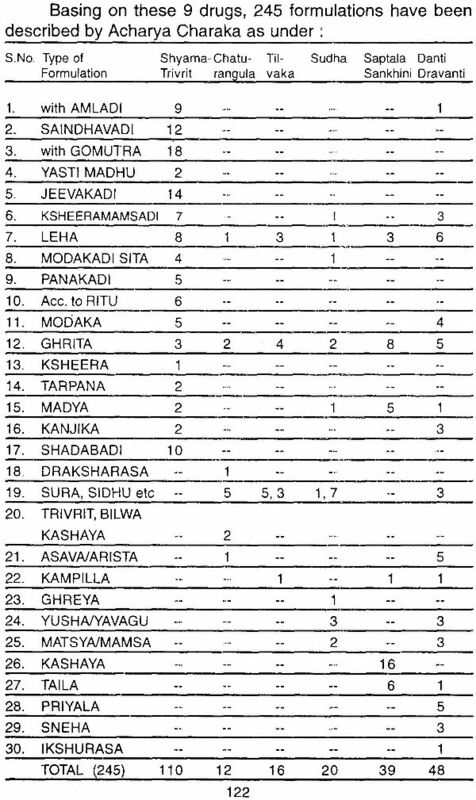 Ayurvedic College, Vijayawada and Dr. Ch. Ravikumar, Leacturer for which I shall always remain indebted to them. 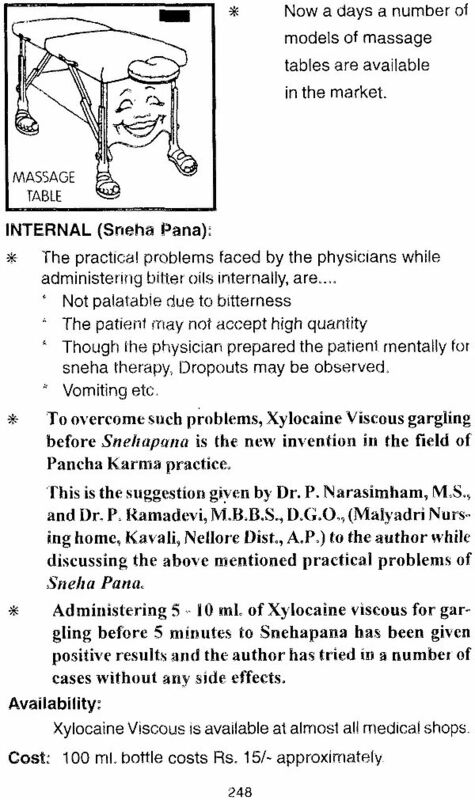 My special thanks are due to Dr. D. Vijaya Kumar, Incharge, Panchakarma Unit, Dr. A.L. Govt. Ayurvedic Hospital, Vijayawada for taking much pains in proof reading in a record time and giving appropriate advises wherever necessary. I am very much thankful to my student Dr. S.P. Praveena who helped me in completion of this book by giving appropriate suggestions in every step. I am also thankful to Sri K. Nagendra Rao, Librarian, Dr. N.R.S. Govt. Ayurvedic College and Sri T. Shyam Prasad, Library Assistant for their invaluable cooperation. I cannot forget Mr. D.V Phanikumar, Managing Director Syndy Pharma, Kavali and Mr. V.V.S.S. Sarma, Vijayawada who inspired me in writing this book. I am highly thankful to Prof. M. Veerabhadram, Vice-Principal, A.L.Govt. Ayurvedic College, Warangal for accepting to write the foreword. I am extremely thankful to Prof. I. Sanjeeva Rao, Retd. Addl. Director, IM & H Dept., Dr. N.V.R. 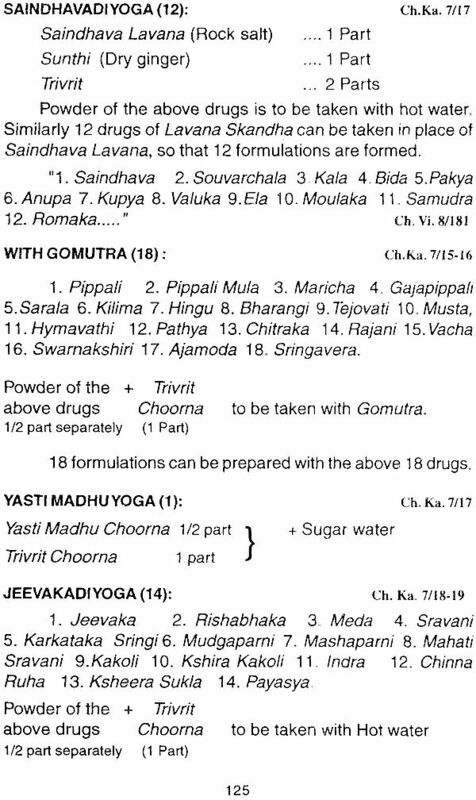 Sambasivarao, Chief Physician Rao's Ayurveda & Yoga Centre, Puttaparthi, Or. D. Vijaya Kumar, Senior Medical Officer, Dr. A.L. Govt. 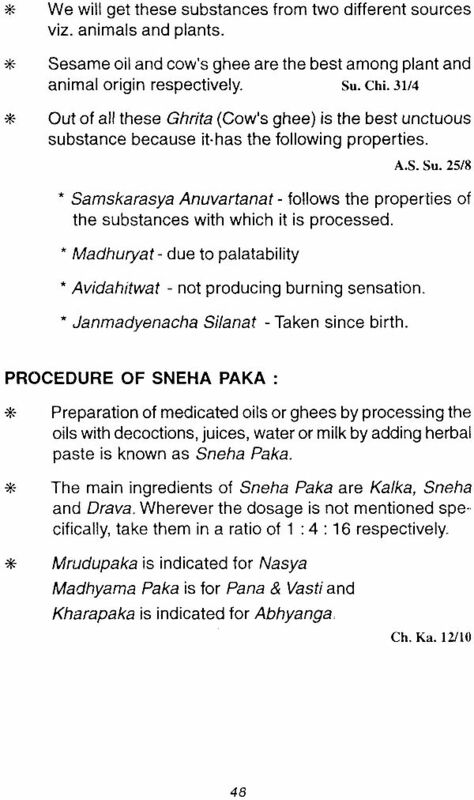 Ayurvedic Hospital, Vijayawada, Dr. K. Nishteswar and Dr. PH.C. Murthy for having agreed to write their valuable opinions on this book. I am very much thankful to Dr. P.V. Raj, Addl. Director, I.M & H Dept. who readily accepted to release the first edition with his golden hands. I am thankful to Dr. K. Shushanam, I/c Principal, Dr. N.R.S. Govt. Ayurvedic college, Vijayawada for his encouragement and also to Dr. P.S.N. Dikshitulu, Dr. M.L. Naidu, and Dr. Y.V. Narayana Rao for their cooperation. It is my special pleasure to acknowledge Mr. V. Satyanarayana, Vijaya Maruthi D.T.P for his cooperation in bringing out this edition in an attractive format in a record time. I cannot forget my friends Dr. Ch. 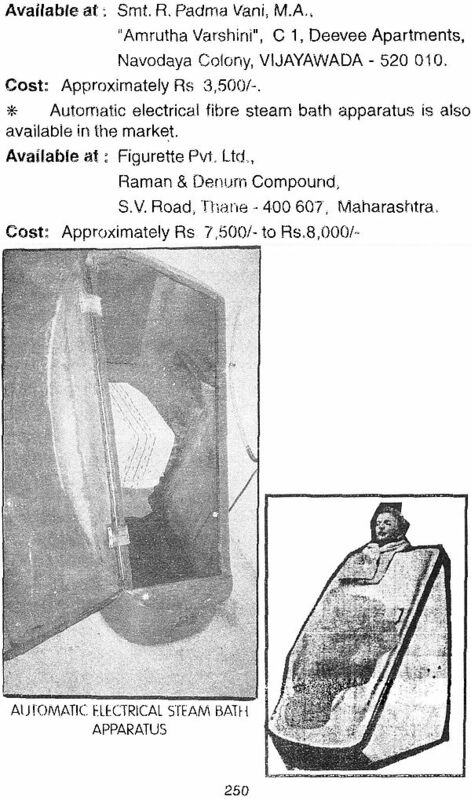 Ramakrishna, Dr. K.V. Ramana Raju, Or. S. Venkateswara Rao, Dr. C.N. Murthy, Dr. D.A.P Reddy, Dr. P. Gayatri Devi and Dr. N. Srilakshmi for their co-operation since the beginning. Lastly it is my pleasure to acknowledge my father-inlaw Sri N. Srinivasa Charyulu, mother-in-law Smt. N.P. Lakshmi, Wife Smt. R. Padmavani and my son Master R. Satya Teja for their cooperation and encouragement in writing this book.